The International Consortium on Landslides (ICL) could publish No. 1–No. 12 issues of Vol. 15 of Landslides (total 2524 pages) in 2018 with extensive voluntary supports from the following 108 editors (Table 1) and 333 reviewers (Table 2) who are experts in various fields related to landslides, all over the world. Landslides: Journal of International Consortium on Landslides is the core activities of ICL contributing to global promotion of understanding and reducing landslide disaster risk. ICL proposed the “ISDR-ICL Sendai Partnerships 2015-2025 for Global Promotion of Understanding and Reducing Landslide Disaster Risk” during the 3rd World Conference on Disaster Risk Reduction (WCDRR) in Sendai, Japan, 2015. The Sendai Partnerships was adopted and signed by 22 United Nations, international and national stakeholders. The ICL and ICL supporting organizations have examined to continue and develop the partnerships to 2025, 2030, and beyond, because developments in mountains and coastal areas as well as climate change and global warming may further increase the risk of landslide disaster after 2025. A global and long-term partnership is planned to launch at the Fifth World Landslide Forum in Kyoto, Japan, in November 2020 (Sassa 2019; Sassa et al. 2019). The title and final draft of this new planned initiative has been decided on 1–4 December 2018 in the ICL-IPL Conference in Kyoto, Japan, as the “Kyoto 2020 Commitment for Global Promotion of Understanding and Reducing Landslide Disaster Risk -A Commitment to the ISDR-ICL Sendai Partnerships 2015–2025, the Sendai Framework for Disaster Risk Reduction 2015–2030, the 2030 Agenda Sustainable Development Goals, the New Urban Agenda and the Paris Climate Agreement-” (Sassa 2019). The journal “Landslides” has created a new category of News/Kyoto Commitment from January 2018 (Editorial Board of Landslides 2018) to promote information dissemination of activities for Kyoto 2020 Commitment. 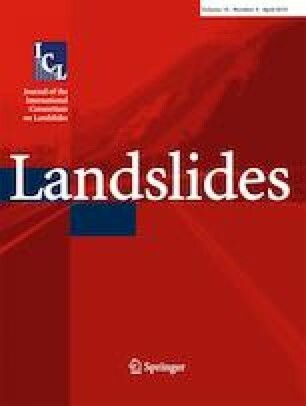 The journal “Landslides” publishes recent progress in all aspects of landslide sciences and technologies for understanding and reducing landslide disaster risk and works for a common platform to facilitate the cooperative activities of the planned Kyoto 2020 Commitment. ICL and all of its supporting organizations sincerely extend their appreciation to a total 441 editors and reviewers for their timely and valuable editorial and review works in 2018, listed in ANNEX, contributing to the development of landslide science for landslide disaster risk reduction. The editors and reviewers working in 2015, 2016, and 2017 were acknowledged in Landslides Vol.13 (6), Vol.14 (6), and Vol.15 (7) (Editorial Board of Landslides 2016, 2017, 2018). Engineering Department, Okuyama Boring Co. Ltd.